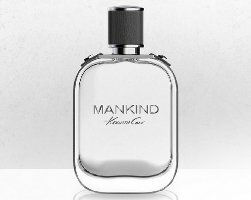 Kenneth Cole will launch Mankind, a new aromatic woody fragrance for men. Mankind is the brand's first scent under new licensing arrangements with Parlux. Explore the new definition of the modern man with this bold new aromatic woody fragrance. Mankind was developed by perfumer Claude Dir; notes include cardamom, tarragon, ginger, pineapple, cedarwood, vetiver, cinnamon, sandalwood, oak moss, tonka bean and skin musk. Kenneth Cole Mankind will be available in 30, 50 and 100 ml Eau de Toilette. I don’t like the name! Pineapple and cinnamon? Meh. I’ll sniff it though. Really? Then I will have to give it a try. Oh. Then I’d rather have the DK!